h0rhe, 26 Jan 2012hi fiz! what firmware do you have experiencing auto.loudspeaker while talking on call? to a... moreyes bro auto loud speaker problem. fiz, 25 Jan 2012friends how can i update this phone as im also experiencing loud speaker problem , please tell... morehi fiz! what firmware do you have experiencing auto.loudspeaker while talking on call? n.shuvo, 25 Jan 2012i just want to buy this phone..but i need to know one thing.. In the talking time in a call, ... moreI've used this Nokia 101 for about 1 month. Phone is good in the price segment. It supports local language by doing texting. On the otherhand we can reduce volume of the loudspeaker while talking., its not the same like Nokia 1202. 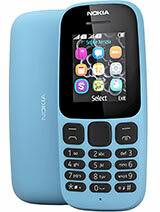 N 101 is really good and economical phone, it has many functions such as : scheduled sms, talking clock, dual sim, flashlight, multi lingual sms ect. .the only problem is : sometime the speaker turn on by itself while calling so we have to press the speaker button 3 times to switch off speaker. 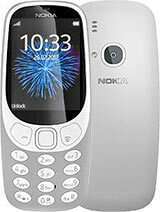 Finally I thank to Nokia for releasing this nice handset and hope to see more dual sim models from Nokia. 10, 11 and 12 series are one of the best of Nokia's creation. sorry to say but there is no possible way to update your nokia 101 by your self as this phone does not have usb port. take it Nokia Care Center (NCC) nearest you and have them do it for you. just make sure you'll give them a call first for you to be sure that they already have the 6.65 version..
exchanging your unit to a new one with the same fw will not make any change. just take it to ncc and have the firmware update :) make sure you will call them first and check if 6.65 vn is available so you will not waste your time. same problem here. i called nokia just today and they said my phone is ready. how about yours? did you receive any update from them? please read my reply to Rahim. i just want to buy this phone..but i need to know one thing.. In the talking time in a call, can anyone hear by the back side of the phone like nokia 1202 mobile! ?...how many speaker it has?.. Plz plz answer me..hlp me plz..
hkhan, 24 Jan 2012when someone calls, does the speaker automatically turns on ??? i've heared about this bug in... moreyes i too have the same problem when i got call answered loudspeaker is automatically turned on. Myself and my friend both using Nokia 101, so far both working fine and looks good. SGD$33.00 worth to buy. hkhan, 24 Jan 2012when someone calls, does the speaker automatically turns on ??? i've heared about this bug in... moreyes this phone has this problem, i am using it and almost every time this happens. cheap phone i give 101 that.but reliability?ZERO!! phone restart when sending messages and the loud speaker automatically turns on when answering a call..i had the phone replaced with the same model and it still has the same propblems...although i like the plastic build coz its light and not a finger print magnet, nokia phones have been very unreliable,firmware wise.. go for Android if ur planning to buy a phone... sony ericsson is a very reliable phone... a bit expensive but it very worth it.